We are delighted to invite you to our upcoming event on 'The Future of Big Data Technology: Shaping Tomorrow’s Businesses'. Come and join us for an interactive discussion with our distinguished panel of speakers: Calvin Cheng, Founder and CEO at Wizpresso, Keith Tsui, former Director of Data Analytics at Great Eagle and LKF Group, Ricky Tsang, CIO at KVB Kunlun Group , Stephen Langley, Senior Consultant at Securities and Future Commission as well as our moderator Janice Sham, Managing Consultant at Ambition. As big data technology matures and the talk of big data is no longer just hype but a reality, we see the future of business models being reinvented and transformed. The capabilities of Big Data are deemed endless and so are the potentials and value of analytics, insights and its by-products. Join us at our panel discussion, where you will learn from a startup founder, Big Data enthusiast and experienced Technology Leaders on their journey and experience from a banking and regulatory perspective. This diverse panel will dissect live business cases, discuss the future potential and as we take the Big Data era head-on discovering how businesses should strike the balance between practicality and transformation. Our discussion will also delve into how technology careers have been impacted and provide advice and tips to professionals looking to advance in this space. Please RSVP by Thursday 28 March as spaces are limited. Wizpresso is an investment research platform underpinned by the latest technology. Calvin leads product and sales at Wizpresso, drawing on his enthusiasm in investing and previous experience in banking. Calvin has previously worked in Global Banking at HSBC, where he covered client strategy and business development for institutional clients across Asia-Pacific. 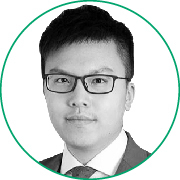 Calvin is very active in the community - He is currently a board member of the Ivey Asia Advisory Board. 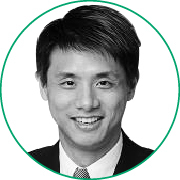 He was the president of the Ivey Alumni Association in Hong Kong from 2016-2018. In 2017, he has been awarded the Certificate of Achievement by the Consul General of Canada in Hong Kong and Macao in recognition of his community service commitments. Calvin holds an Honors Business Administration (HBA) degree with distinction from Ivey Business School. Calvin is a CFA charter holder. Keith Tsui won IDC's "Information Visionary of the Year" 2018 Award while he was Data & Analytics Director at Lan Kwai Fong Group. He also founded ‘LKF Labs’, a special team that focused on innovation and technology projects, including analytics, VR/AR and gaming. Keith is considered an industry thought-leader and is frequently invited to speak at numerous tech conferences, including: “Big Data Innovation Summit”, “Big Data Analytics Forum”, “Siemens Innovation Day”, “Big Data & Analytics Innovation Summit”, and many more. Earlier in his career, Keith did work specializing in Big Data analytic tools, in addition to R&D and Product Development. He has taught and guest lectured various Big Data-related courses such as HKU MBA “Business Intelligence and Big Data”, HKUST MBA “Digital Marketing Strategy and Analytics”, and HKPC “Big Data and Business Intelligence in Retail”. Keith has two degrees from UCLA and an MBA from HK University of Science & Technology. With their fintech subsidiary- Banclogix under his wing, Ricky drives cutting edge technology, innovative strategies and data analytics initiatives for their trading and treasury platforms. Ricky brings to KVB more than 20 years of experience in Technology within top tier banking institutions. 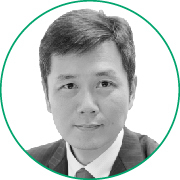 He was previously the Head of Technology for Hong Kong and APAC Technology Relationship Management for BNY Mellon, he has also held Senior Management roles in DBS and JPM. 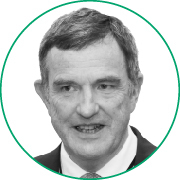 Stephen has worked in CIO and IT Director roles in professional services firms in Asia and Europe. He originally came to Hong Kong over 20 years ago and became the first IT Director for PwC Hong Kong. He moved on to become CIO APAC for PwC Consulting prior to its takeover by IBM. He then held a number of regional roles in the consulting arm of IBM (GBS) based in Australia and then the UK. Stephen established the Data Analytics Group at the Securities and Futures Commission one year ago. This is a team to research and develop solutions that advance the Commission's strategic priorities using the power of data science to unlock insights. His current focus is on data visualization, graph databases, NLP, data strategy, data governance and building a Data Lab. The team now has 6 members and a pipeline of interesting projects. Prior to that, he spent 4 years as Deputy CIO at the SFC with operational roles leading the Infrastructure and Technical Architecture teams in addition to leading strategic projects.